As ever well ahead of its times, Bvlgari combines cutting-edge materials in giving life to a pioneering urban timepiece: Diagono Magnesium. Its remarkably light and impressively sturdy case middle is made from two materials notably used in the space industry: magnesium and PEEK, a polymer capable of withstanding the most extreme conditions. 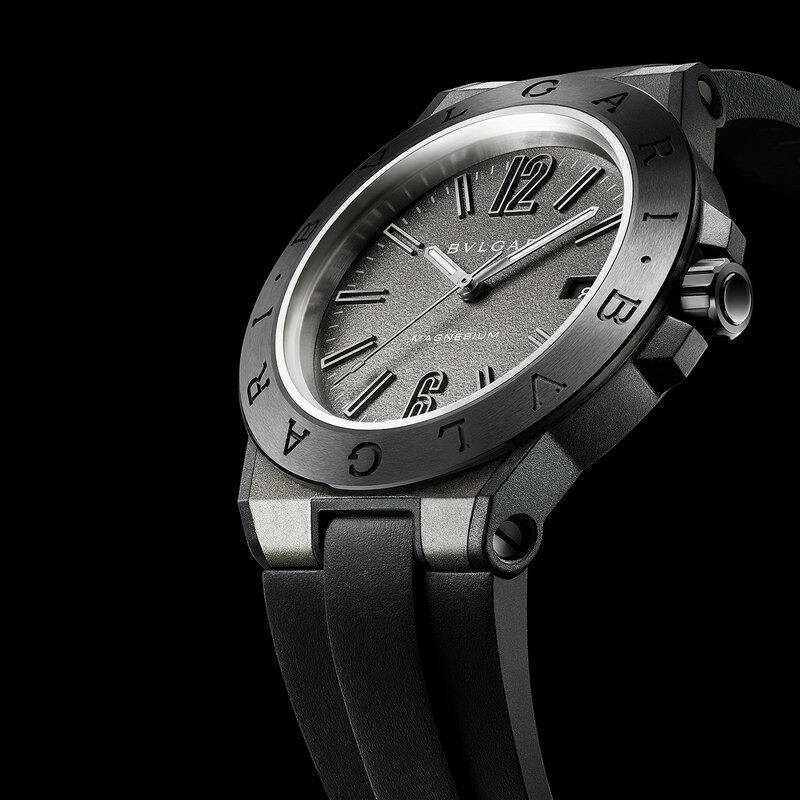 The bezel engraved with the double Bvlgari logo is made of ceramic, while the dial features a “Motorlac” coating, as does the surface of the case middle. This lacquer developed by Bvlgari serves twin decorative and protective roles. It is not only capable of withstanding extreme temperatures or variations in the dilatation of materials, but also enables daringly colourful and grainy-textured effects. 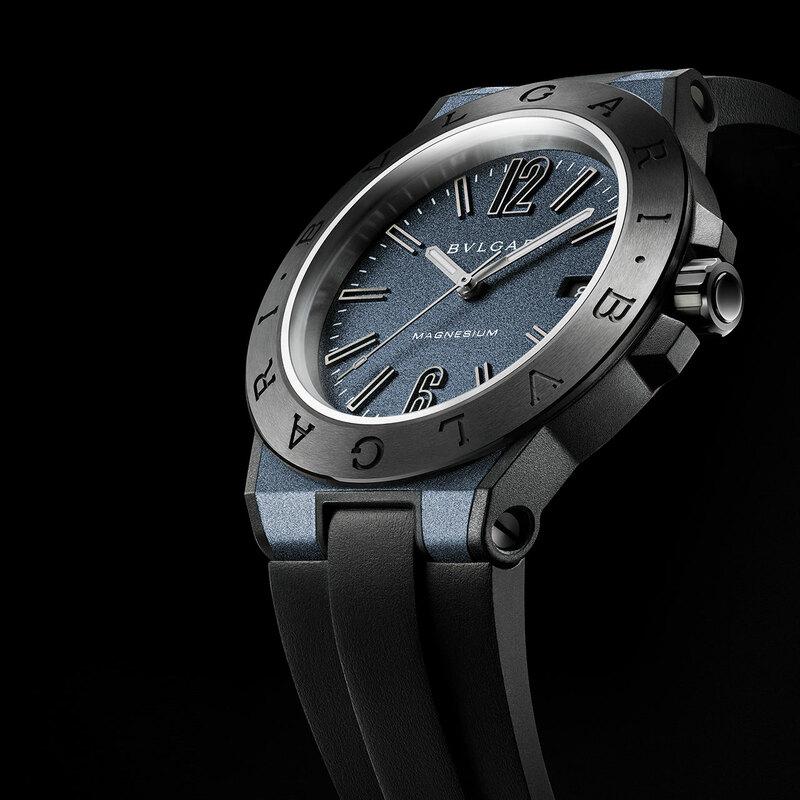 The Diagono Magnesium comes in a choice of four colours: anthracite, chestnut brown, silver-toned and blue. Steel, 41 mm Case middle in magnesium and PEEK, surface coated with anthracite, chestnut brown, silver-toned or blue Motorlac. 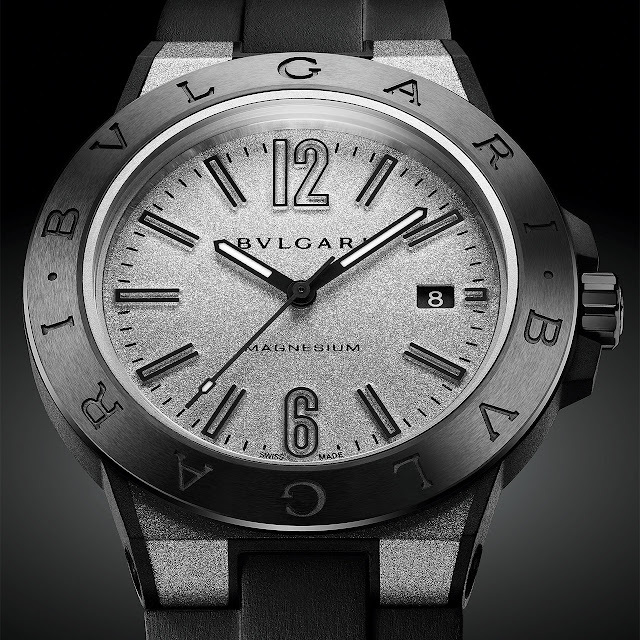 Ceramic bezel engarved with the double Bvlgari logo. Black PVD-coated back.